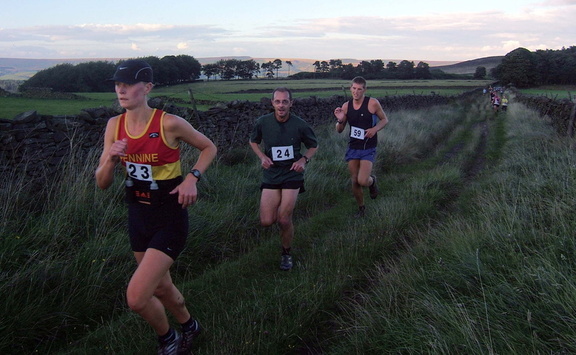 Great Whernside – Final English Championship race , and Yorkshire Championships. Results. And that's the closure of this year's Championships. In the Yorkshire Championships, congratulations to Tom Saville - 1st MU23, and Anna - 2nd WU23 and Ellie - 3rd WU23. And then the Teams, the Women are Yorkshire Champions, with the Men 2nd. The Women's race seems to have been a good bit colder, into the mist up the top. This had cleared for the Men's race. A simple course, get to the top as best we can, and hammer back down again. Thanks, as ever, to the excellent service Dave Woodhead does for fell photos, plenty more on his website. Can't find you Senior Men, wot a shame! Bogfest – from Edale. Results. Three Peaks Cyclo-Cross - no doubt featuring some of yesterday's absentees...Results. English Schools Championships:- by Settle.